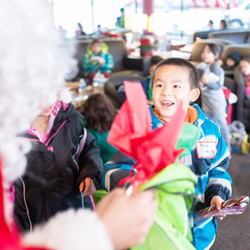 It is the most wonderful time of the year for many families throughout the Lower Mainland and around the world, however there are many less fortunate who are in need of a little extra love and kindness this holiday season. Thankfully plenty of great charities exist to help ensure they’ll receive just that. Consider gifting one of the below local or international organizations with a donation this Christmas, or perhaps donate in-kind for someone on your own holiday wish list and help spread the festive cheer! 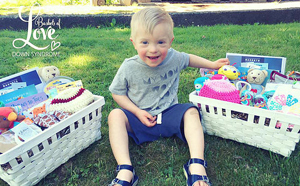 Baskets of Love is a wonderful charity project by the Down Syndrome Support Society which helps create gift baskets filled with items especially chosen for babies with Down Syndrome and their families – to help them transition more positively and easily into life. Each basket contains an assortment of gifts, baby items, blankets as well as local and national information and resources to welcome families into the Down Syndrome community in a positive way. Plan International Canada is a great source to head to if you’re looking for a variety of different charities geared toward children from all over the world. You can easily navigate their Gifts of Hope page and donate as little as $10 for a simple bed net to help protect little ones from infections and more. Many donated gifts are matched – translating to double the amount and impact ultimately made. Kids Up Front is another BC based charity (with roots in Alberta) that aims to provide less fortunate children with experiential nourishment of the spirit by providing them with seats to world-class performances they’d be otherwise unable to enjoy. Through its partnerships with other child-serving charitable agencies who in choose ticket recipients from within their programs, Kids Up Front is able to provide a magical experience to those less fortunate – but no less deserving. Individuals and businesses can choose to donate money or donate tickets to events such as ballet, cinema or theatrical performances as well as soccer, hockey and ball games all guaranteed to put a smile on a deserving child’s face. Backpack Buddies is a grassroots Vancouver-based organization that provides children in need with specially packed backpacks containing food and other items to help ensure they don’t go hungry outside of school. The organization relies on local schoolchildren to help pack each backpack before they are delivered to other less fortunate kids and families – providing a valuable life lesson and service that is community driven. Donate online or learn more here. Canadian Feed The Children is another option worth considering when in search of a suitable charity to give to this season as they’re committed to reducing the impact of poverty on children both in Canada and around the world. Part of what makes this organization (represented globally) so great is that they don’t take a quick-fix approach to their work – but rather personalize efforts based on a community-led approach, long-term sustainability and food security as well as education that benefit’s children. Danica keeps herself busy as a solo-mom to a busy little boy while running her own business and living coastal life to the fullest. She enjoys an active lifestyle (when not busy working on communications projects or taking her tiny tot on adventures). See what she's up to at: www.dvinewrites.com.